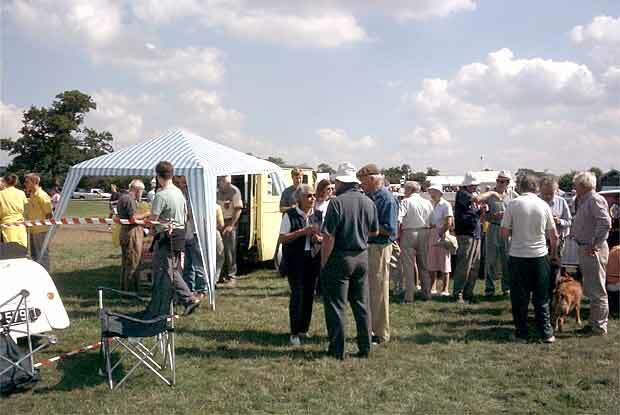 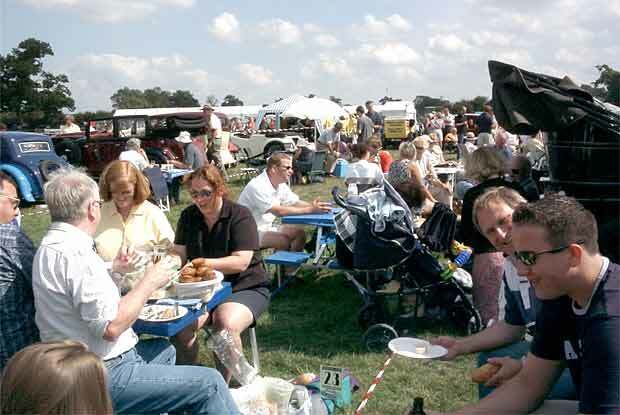 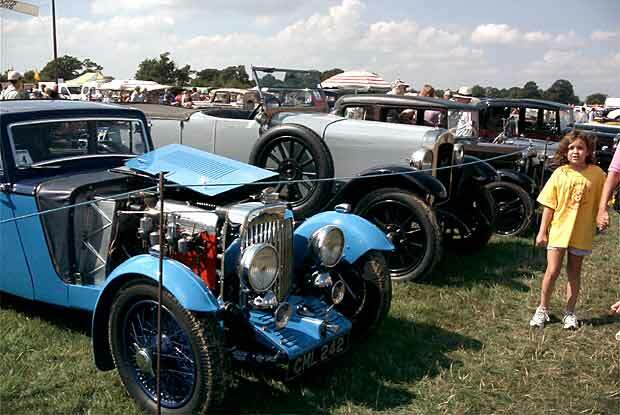 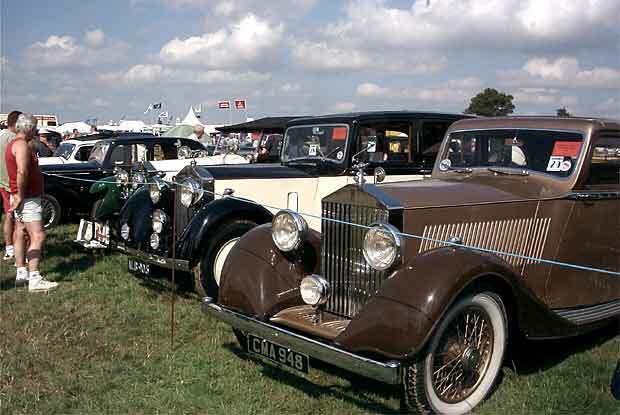 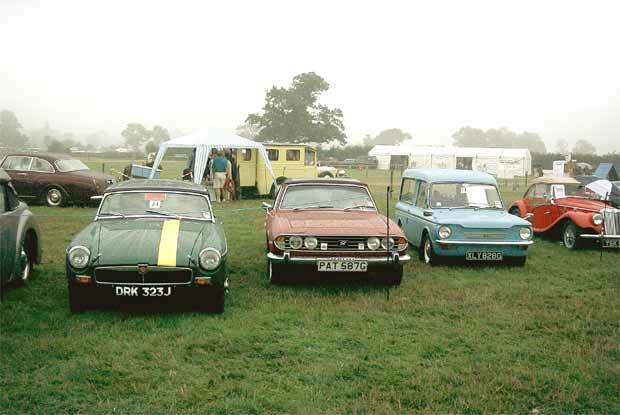 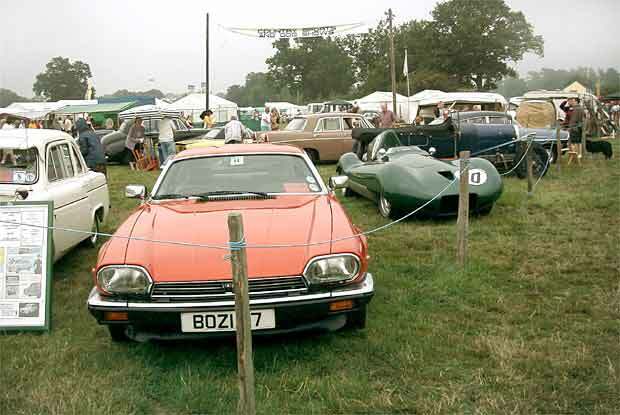 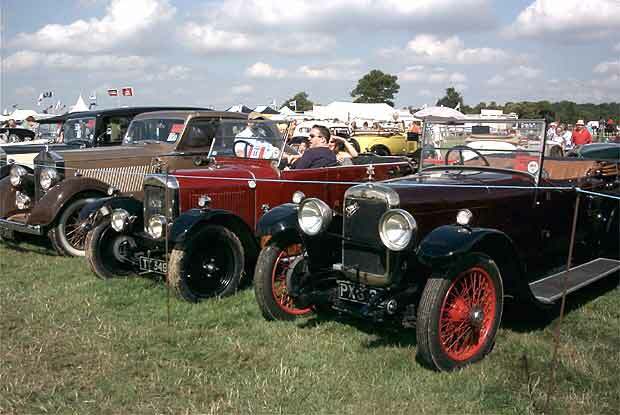 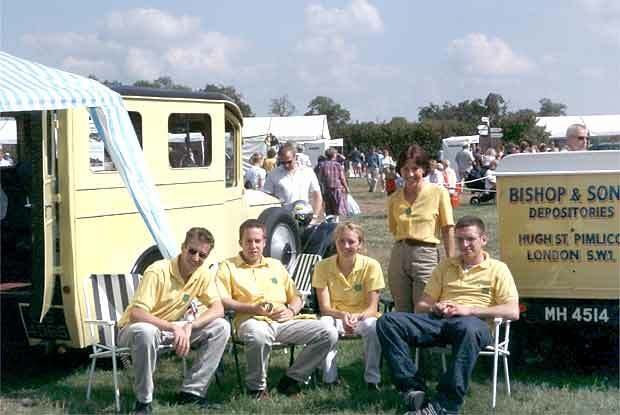 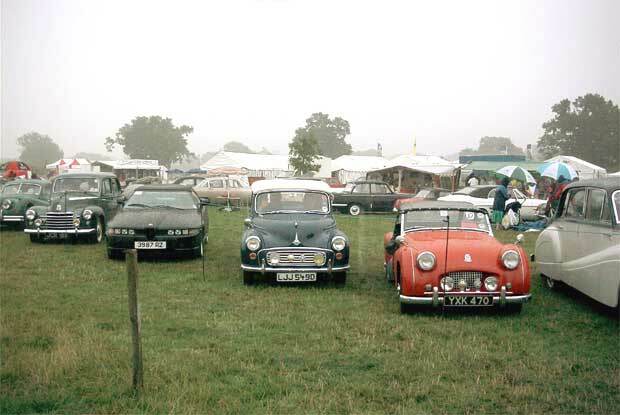 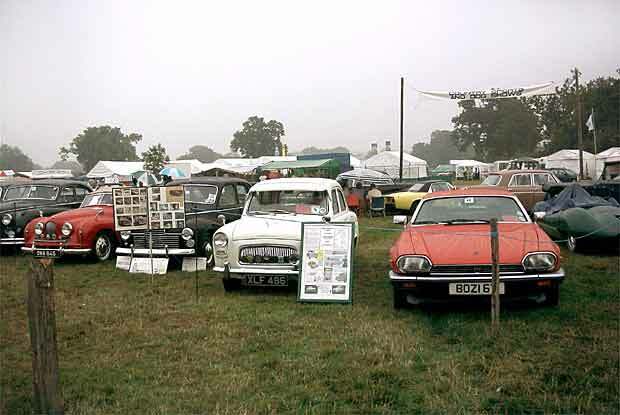 The Edenbridge and Oxted Agricultural Show, and the Historical Vehicle Display, is held at a venue connected with the very best in British motoring history. 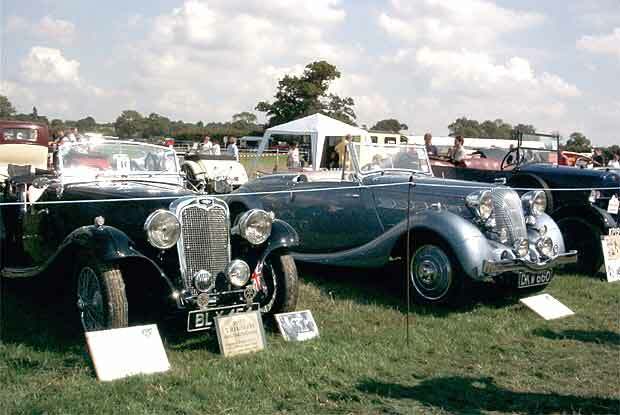 Directly behind the main marquee is a tree lined avenue leading to 'Ardenrun', and Ardenrun was once the country estate of 'Babe' Wolf Barnato, a famous 1920s socialite, extremely rich from father Barnie Barnato's South African diamonds. 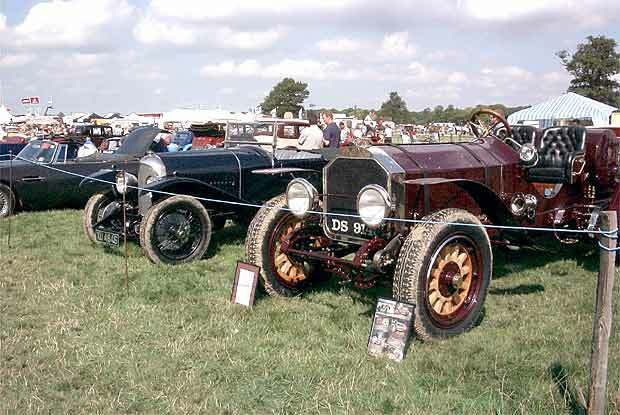 Wolf Barnato, apart from being a works Bentley driver, a winner of many sportscar and Le Mans races, and one of the world's best drivers of the 1920s, was also the money behind W O Bentley and eventually owned the famous Bentley Motors before it was sold to Rolls-Royce. 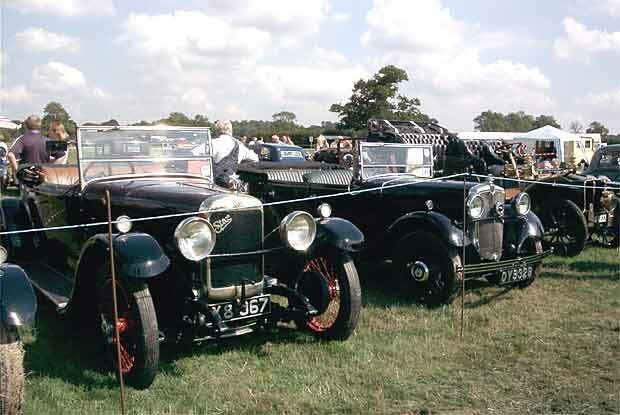 According to W O Bentley�s autobiography "Ardenrun" was certainly no place for a quiet weekend, and therefore Ardenrun's end was as sensational, and as dramatic, as was its tenure, - a fire razing it to the ground overnight following a magnificent party. 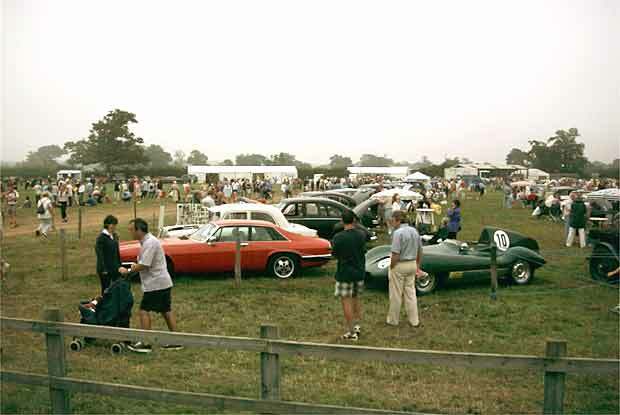 The remains of the estate were sold but the tree lined avenue still remains and is still known by the local residents as the Bentley Mile, conjuring up the roar, the speed and glamour of Wolf Barnato testing his Le Mans Bentleys. 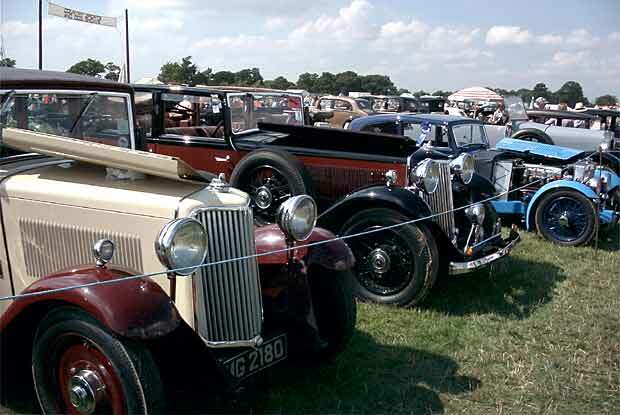 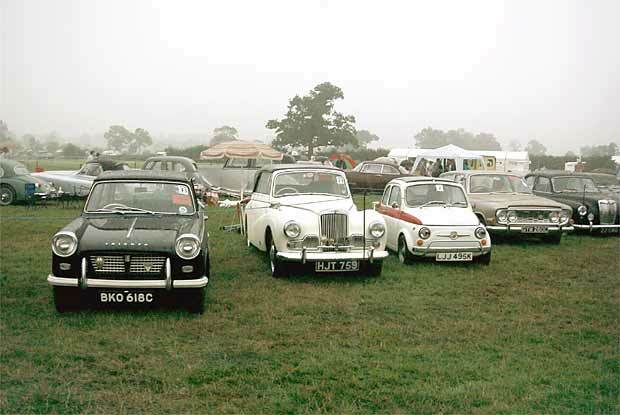 The Edenbridge and Oxted Show now held on this estate runs over two days which allows the Historic Vehicle Display to be split into two sections determined by the year of the car's manufacture; on the Sunday we have Classic Cars, and on the Monday we have Veteran & Vintage Cars. 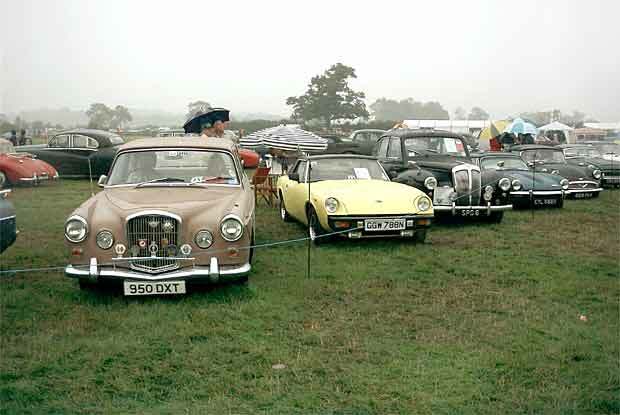 Unfortunately the weather for the August Bank Holidays tends generally to be very unpredictable, and cars, unlike horses, don't perform very well in slippery wet mud. 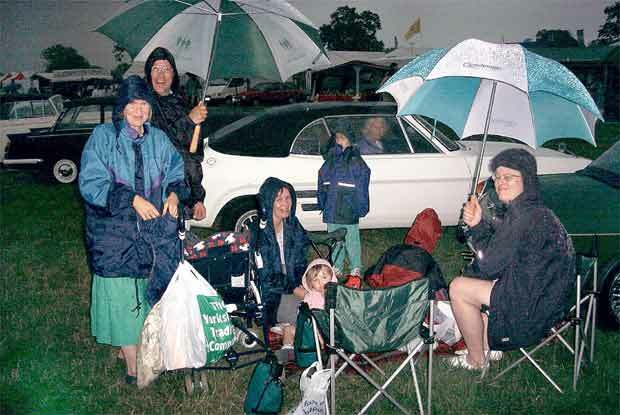 So, while I was walking past the main parade Ring at about 11ish on the Bank Holiday Sunday the announcer happened to mention that he had just been advised by Gatwick that "....the Airport is expecting a thunderstorm in about 15 minutes, so if you wish to go and get your wet gear, now would seem to be about the right time to go....". 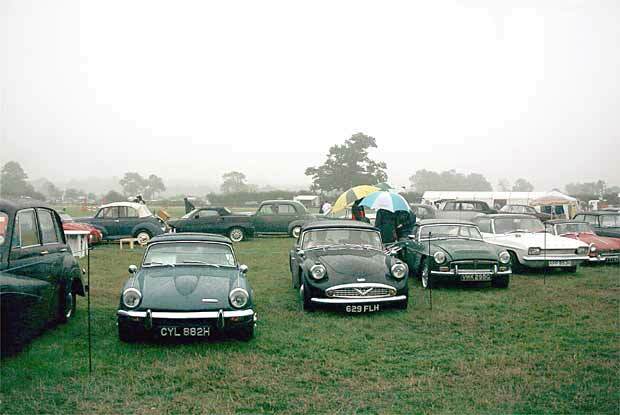 The sky was dark and overcast, as some lower photos indicate. 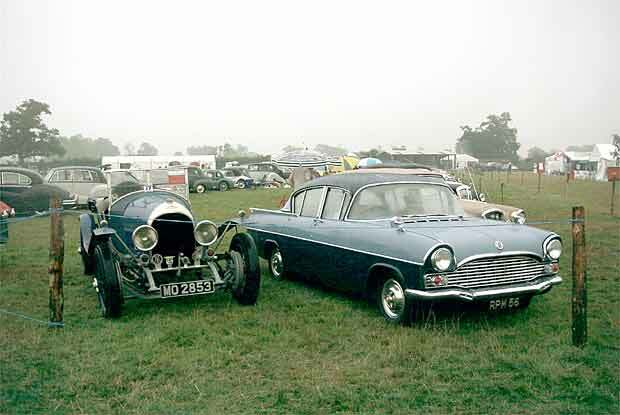 Well Gatwick got it right. 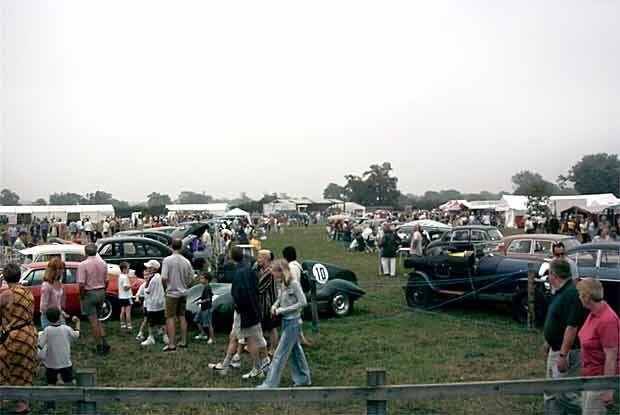 At about 11.15, out of a very dark and gloomy sky, came an almighty great K A P O W - B A N G that lit up the sky and scared everybody witless and blew the tyres off, and all the electrics out of, a posh BMW parked by the VIP Enclosure. 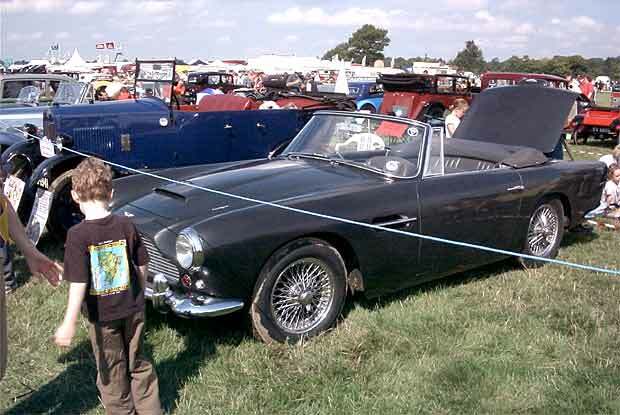 Direct Hit ! 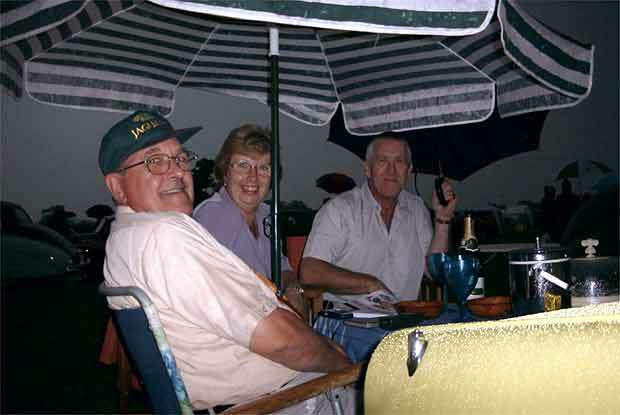 The heavens opened up and rain began cascading down in torrents which petered out some eight hours later when it didn�t matter any more at about 6.30 in the evening when everybody was home. 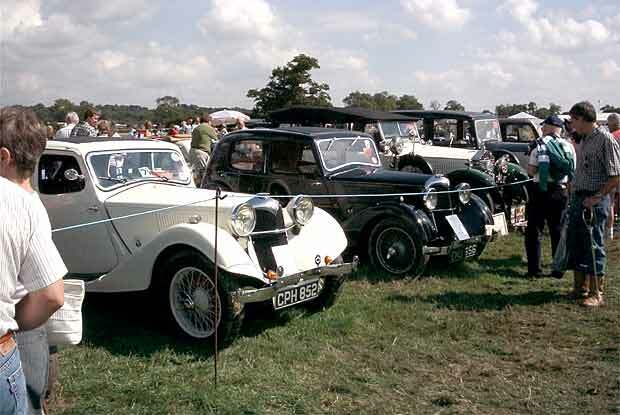 Naturally, we were therefore able to provide all our Classic Cars with the normal quantities of Ardenrun mud that we are all so used to plugging through and missed taking very large quantities home with us. 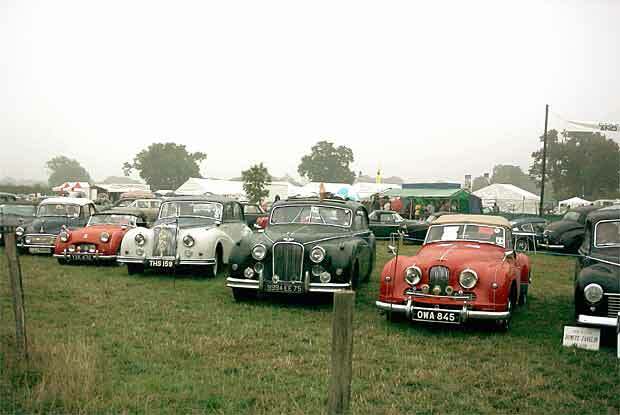 Anyway, Sunday wasn�t much fun for anybody. 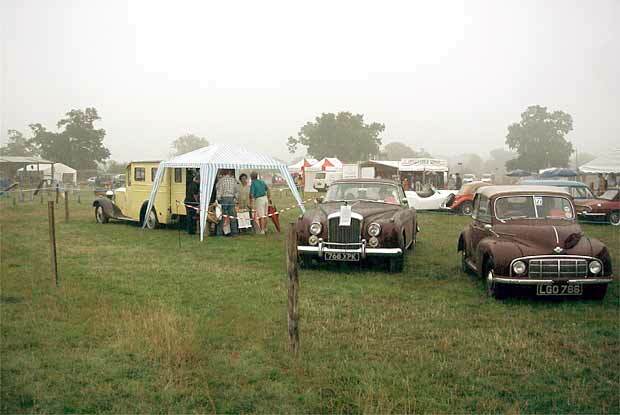 Despite the weather we had only two no shows on the day. 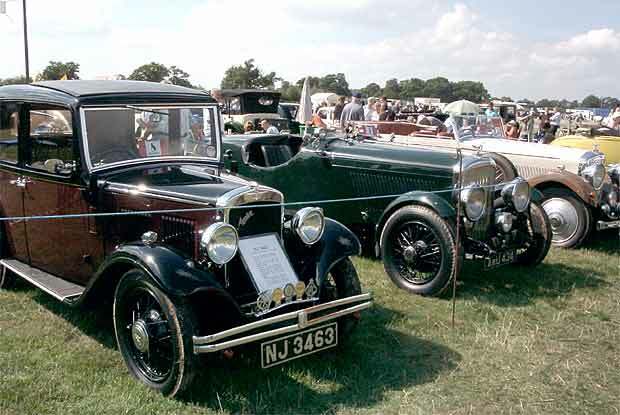 The SVVS provided two of the star cars, this being the 1924 Bentley Tourer of Gordon Self (eh - Classic? 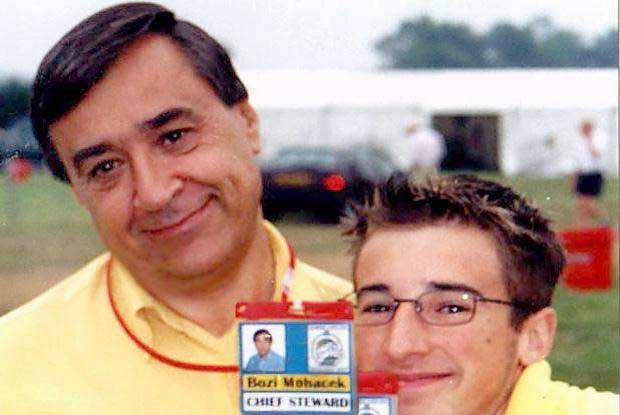 ?, who let him in ?) 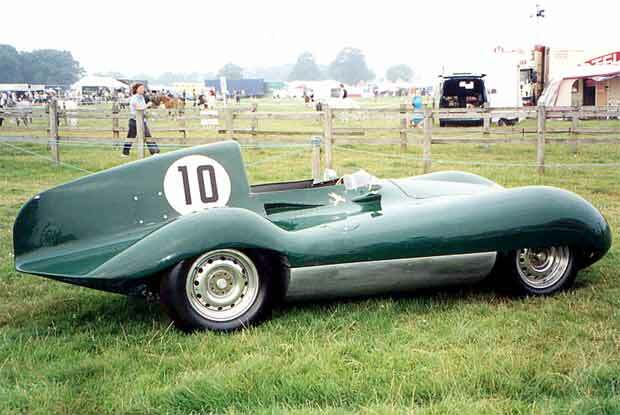 which looked immaculate even when wet, and the really eye-catching 1955 Connaught Formula 1 car belonging to Michel Gosset who races it in earnest in UK and abroad. 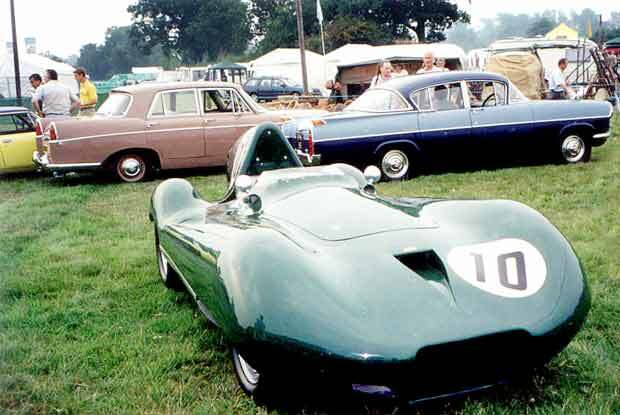 Michel trailed the Connaught with the equally impressive French registered 1955 Jaguar Mk 7 which was used as a mobile testbed by the French Chairman of Solex Carburettors. 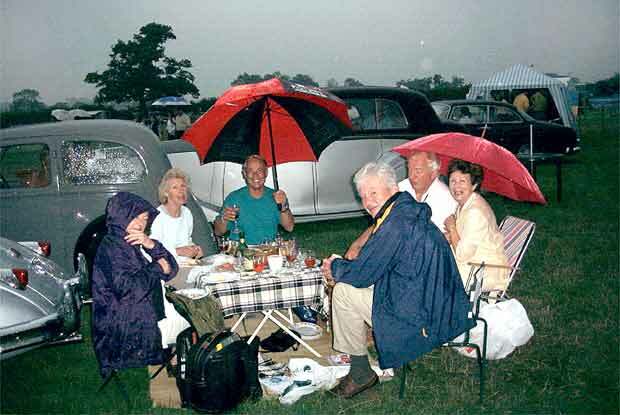 While on the subject of pozers, Clive Bracey came in his XK 120 Cheese Grater and proceeded to occupy the organisational gazebo together with Messrs Self, for the rest of day to keep out of the rain �cos it is too much effort to put the hood up on the car. 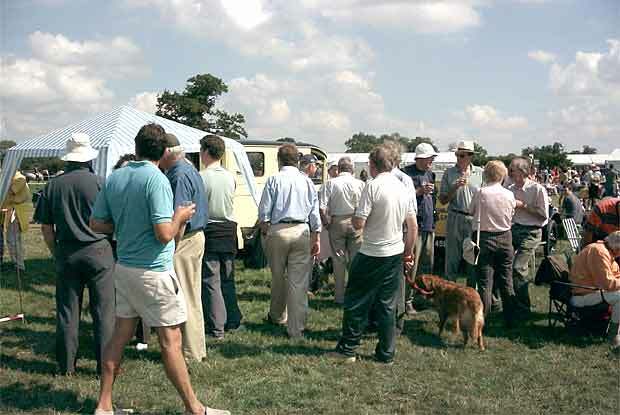 Others of the two seat variety were Messrs Mulford, and an enormous dog (how? 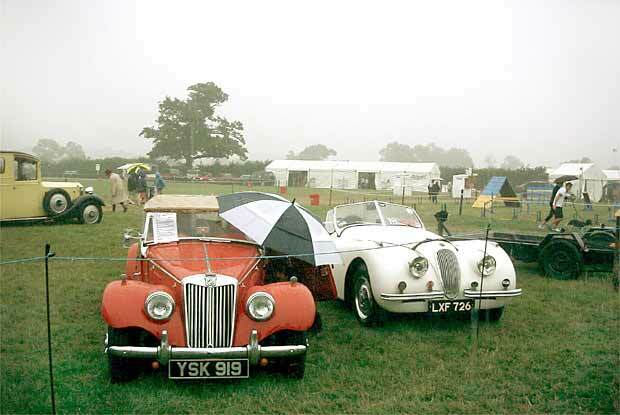 ), in the relatively diminutive but highly polished 1954 MG TF with hood and umbrella; Bryan Shepherd in the diddy but gleaming 1966 MG Midget with no space for nowt; and Roger Horstman in the very tidy and wet 1955 Triumph TR2. 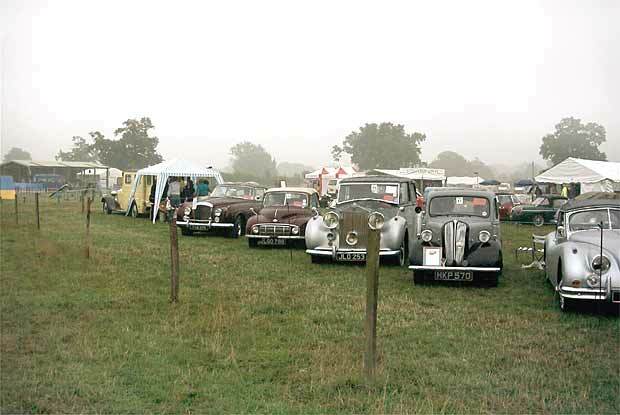 Dry people included Graham MacKenzie in the weatherproof 1951 Vauxhall Velox four seat comfy saloon and should have included some foreign guy with a red heated/wilton/walnut/aircon XJS who didn�t get a chance to get near it and remained constantly sodden seeing to others! 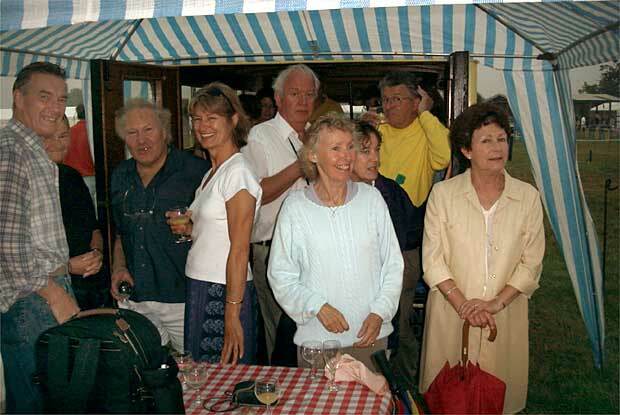 What personal courage. 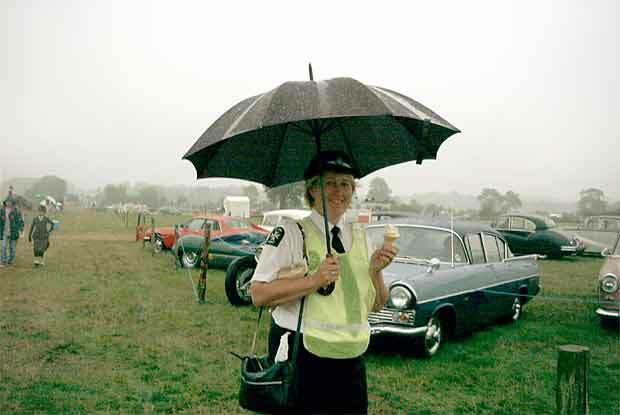 On the Monday, no water, so a different kettle of fish. 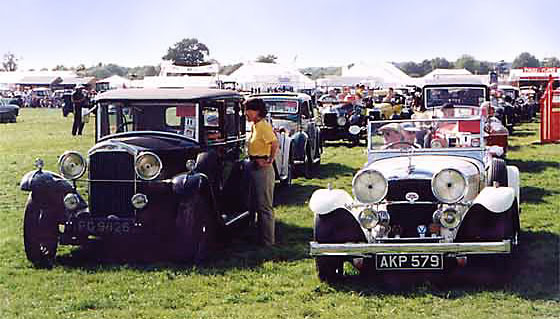 Weather was gorgeous, sun shining, slightest breeze, puffy clouds, happy bunnies. 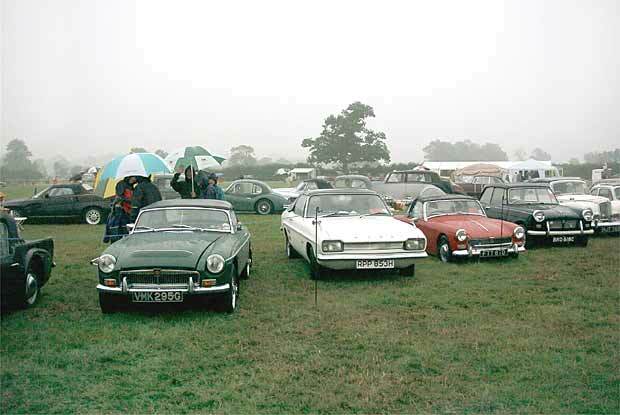 The SVVS again provided most of the �class� cars, with a few exceptions. 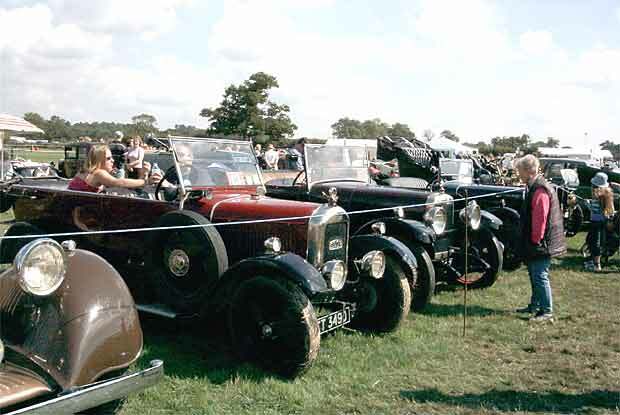 John Curtis certainly was not one of them in his rather nice 1934 Alvis Speed 20 SB and he led the Parade again. 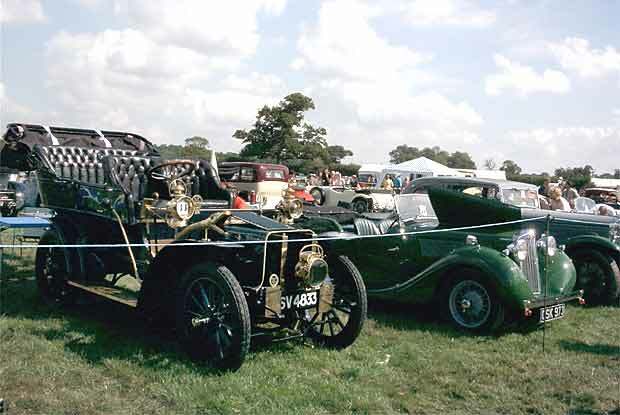 Hon Sec Desmond Peacock managed to get to us and back in the venerable 1921 Amilcar CC Tourer just before the hubs gave way. 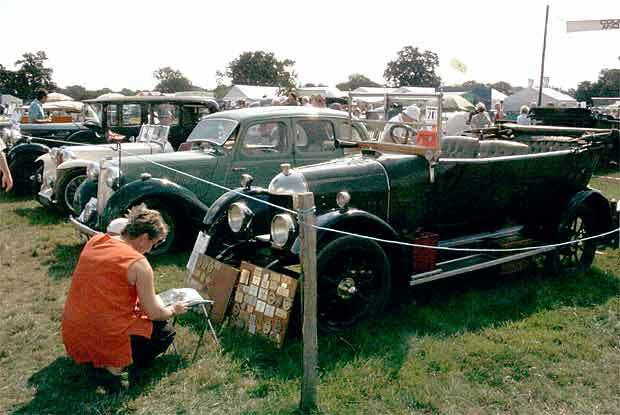 Somewhat late, but not surprising for a LWB Armstrong Siddeley 1933 vintage came Mike Fay muttering that he had already done a day�s work; which can most certainly not be said for the retired Simon Pearce with mature art student Jackie in the 1933 Armstrong Siddeley Special 6 with the clock-work hood. 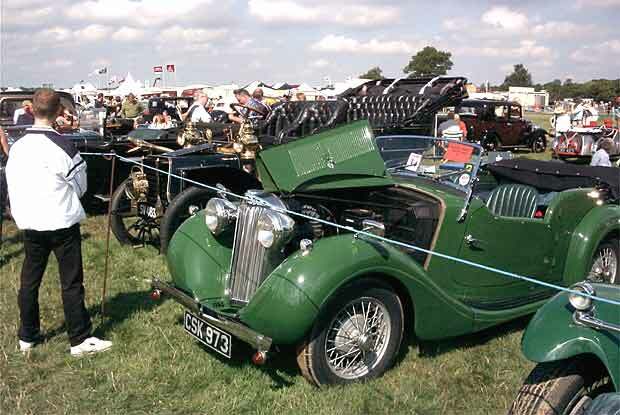 Last year Keith Piper came with a bandaged arm having extricated a tendon. 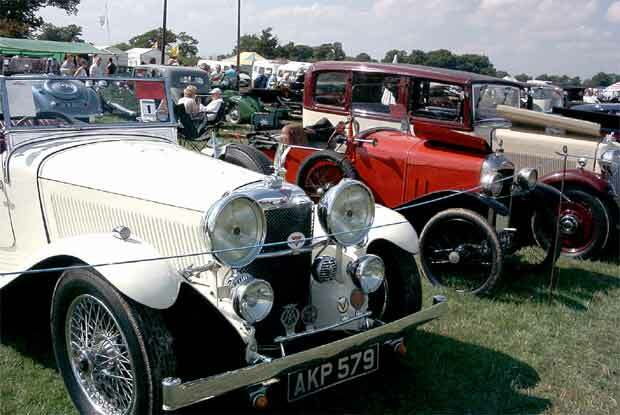 This year Keith Piper came in with a very puffy eye, having exterminated a bee; the car was the Pebble Beach 1934 Aston Martin Sports Saloon. 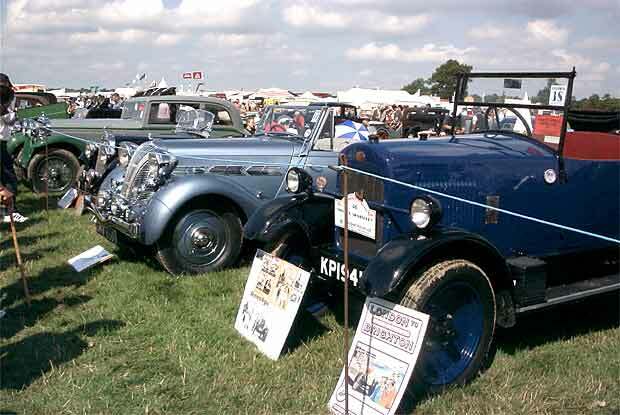 Amongst the specials was Alan Reid and the 1932 Austin 7 Sports which came in quite early for a change, and Jan Van De Pol, the retired ex Mr. Special Plod, and the 1935 Bentley 3.5 ER Hall replica racer. 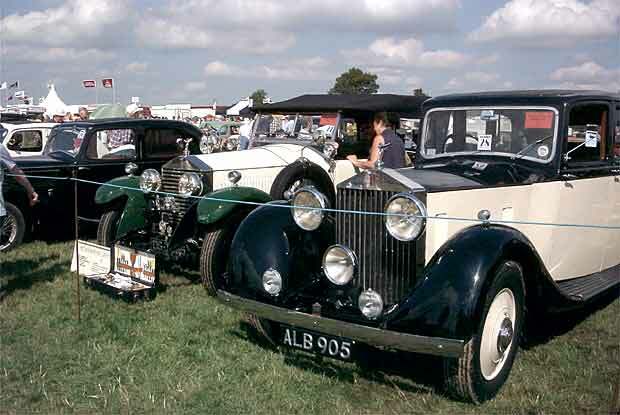 John Chapman came in regally in the 1937 Bentley Derby and Mike Errol and dog bounced in with the very yellow 1928 Ford A Roadster into which he can get with ease, ulike the XK120. 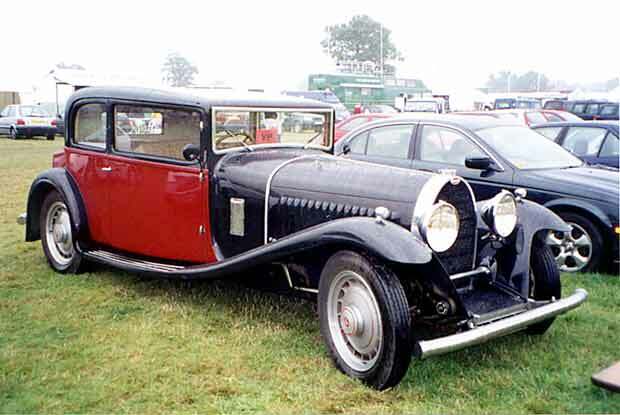 The entire Russell clan came in the 1937 Bugatti 7W Popular. 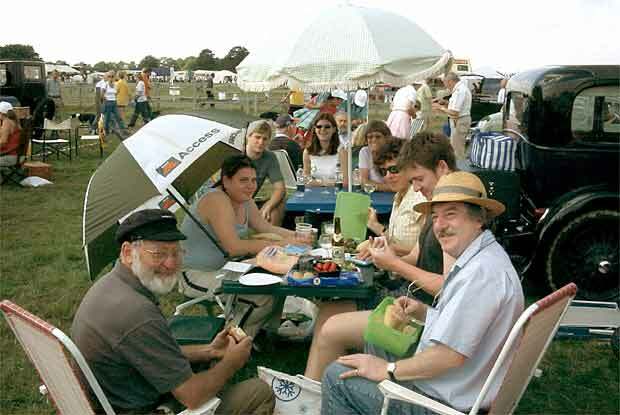 Most were talking to each other, most were happy for most of the time, and we actually managed to get his daughter to smile; will try working on the son next year. 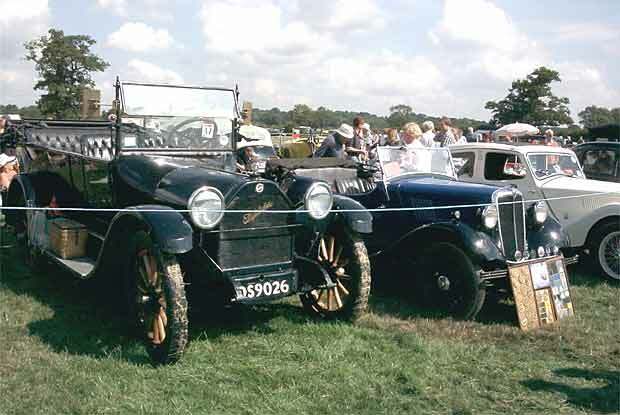 A more grown up daughter, one Clare Woodburn, now owns and brought the orange 1925 Gwynne Brooklands, quite some time ahead of pa David Woodburn who strolled in leisurely in the new two seater 1928 Star 12/40 Pegasus. 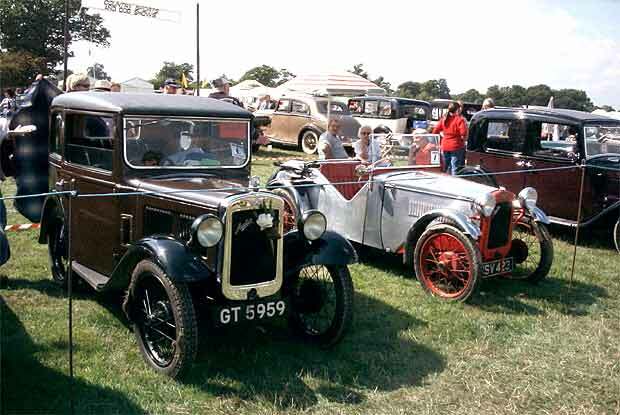 Tony Oakes, contrary to last year, managed to bring the 1930 Humber 27/70 Snipe Saloon all the way across the field from home without any major before/after off-road rebuild repairs, although it did take a gallon or three of fuel; wife �Big T� (Thelma) thankfully yet again (yawn) won the E & O Show�s First Prize for flower arranging, having come second once and having been utterly unlivable with for ages. 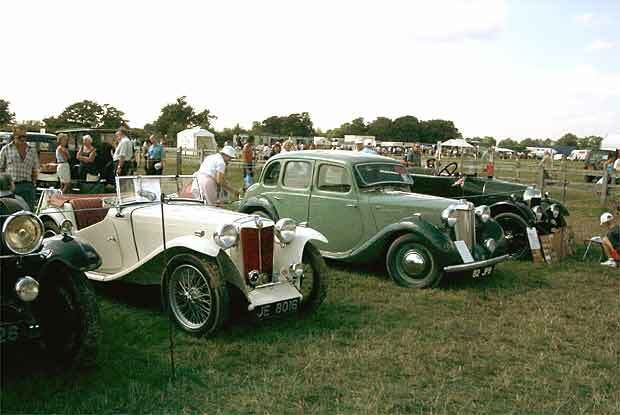 Thelma and Hon Editor Alderton came in the perennial 1947 MG Y. 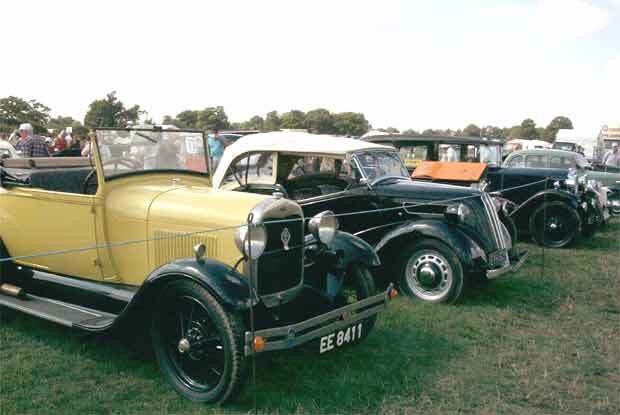 Trying to match Pearce in car size were Messrs Francis Hayter in the 1934 Morris Oxford 6 and Mike Gorman in 1934 Morris 10/4, but failed. 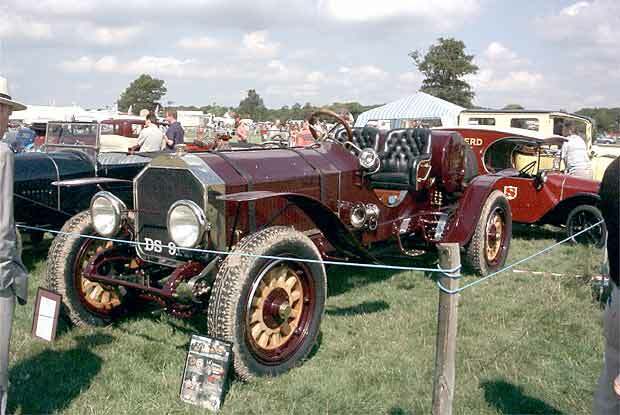 To everybody�s utter amazement Simon Bishop came in quite early in his 1925 Singer 10/26, which may have had something to do with the Gormans having to feed him. 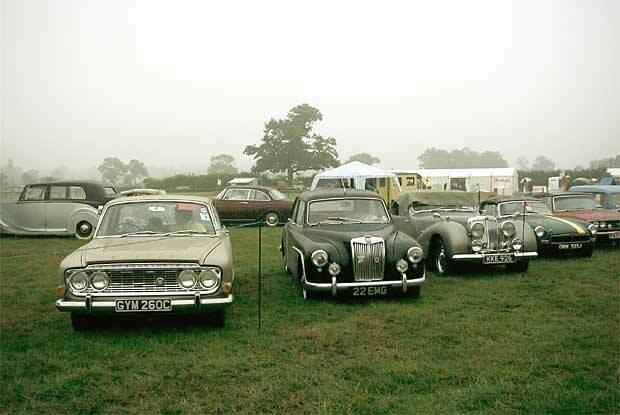 Worried-with-Riley, one Chris Cuss correctly assumed no rain and came in the white 1935 Riley Kestrel which is simply not allowed to get wet; Chris was seen relaxing just a bit (comatose), which presumably would be the normal state of affairs if were not for having to walk around pub carparks muttering into a packet of cigarettes. 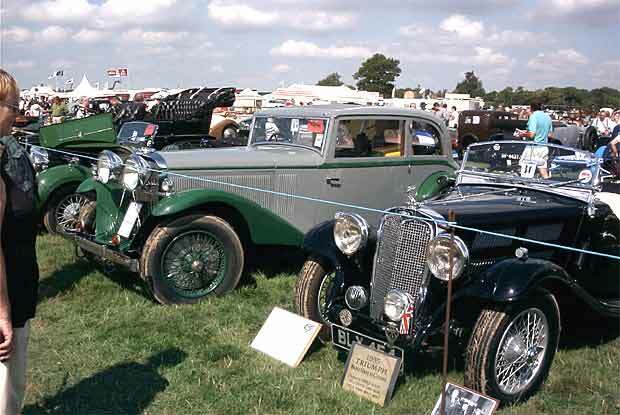 Triumphs came in the form of Clive Mellor and the 1935 Triumph Gloria Southern X and Jon Quiney in the 1940 Triumph Dolomite with the stunning Niagara grille. 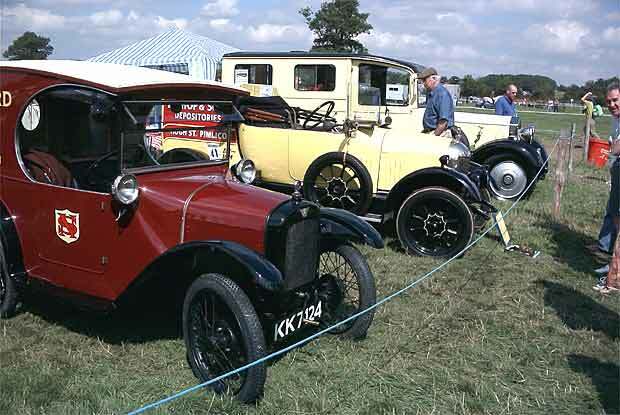 Messrs Williams came in the regular and much questioned about 1927 Trojan Tourer which was dwarfed by the Leo Smith Bentley and American La France (once a Fire Chief's Rapid Response Unit) but not quite as dwarfed as was Roger Bishop's1924 Morris Cowley Travellers Van. 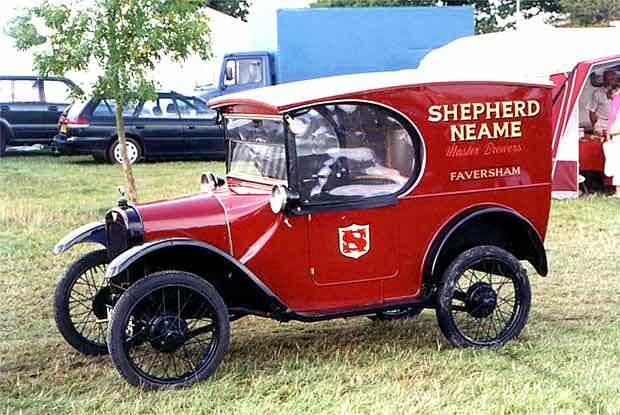 Also worth a mention was the adjacent Shepherd & Neame 1923 Austin 7 Van owned by non-member John Milne, absolutely minuscule and immaculate. 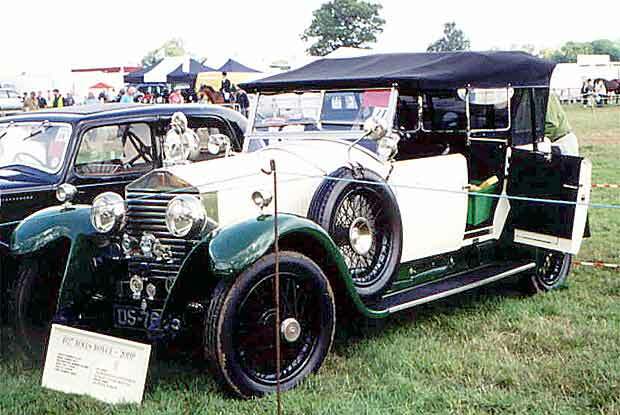 Coincidence is that the John Curtis Alvis was first registered to Mr. Neame of the same company. 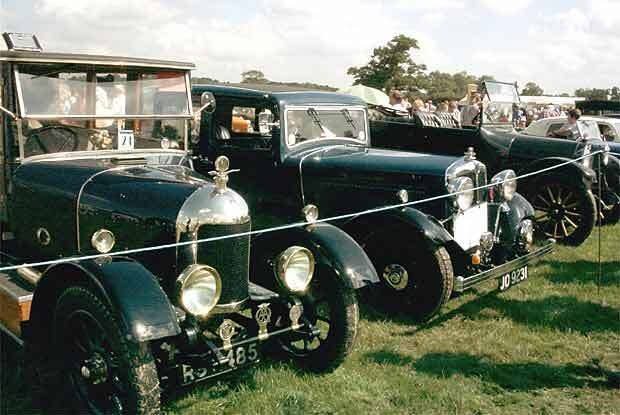 Also worth a mention was a rather magnificent 1927 Rolls Royce 20 now owned by Peter Price but built for the Maharaja of Burdwan as wedding present for his son, all complete with the impressive fully fitted out cased picnic set. 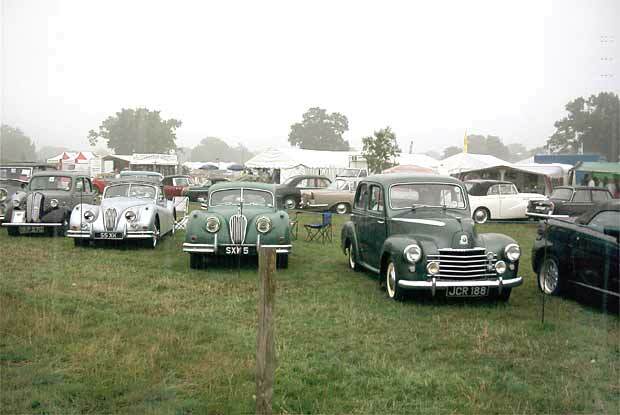 All in all a washout on Sunday which gave ample scope for seeing all of the show and doing lots of shopping in the rain, and an absolutely perfect Monday. 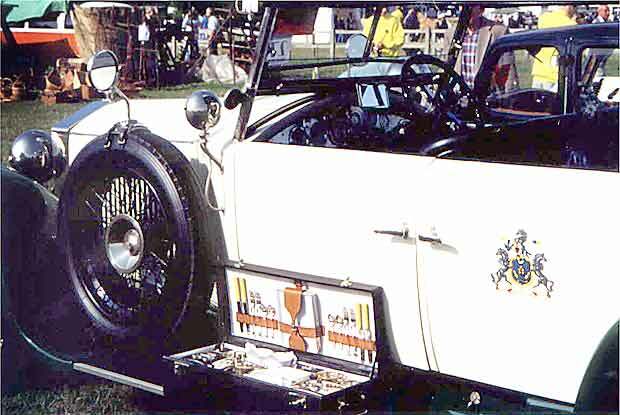 All in all, very much par for the course !